The long standing challenge was that a single piece of paper, no matter the size, cannot be folded in half more than 7 or 8 times. Twelve is the reigning record by Britney Gallivan. 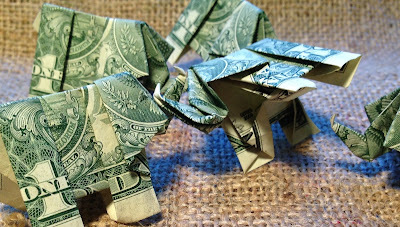 Apparently Folding Elephants is not out of the running yet. According to the email I received this morning from The Masters Review, they are still reviewing short story submissions and hope to announce a winner by September 15th.